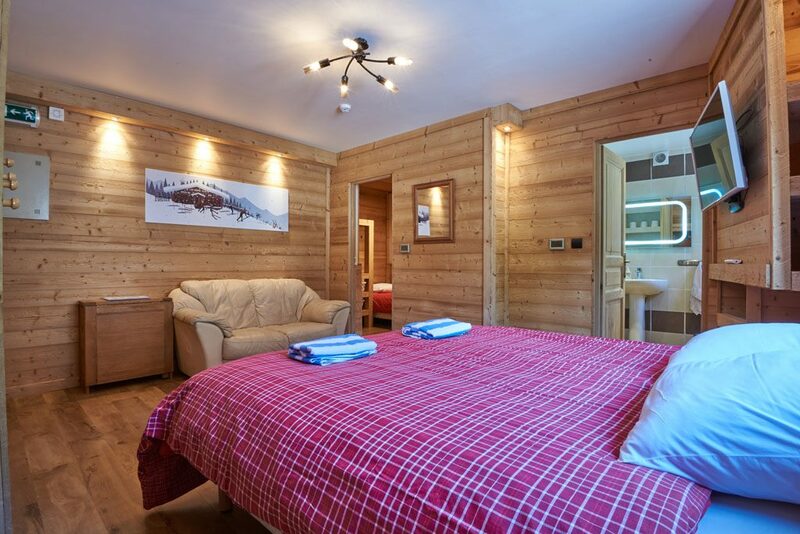 Chalet Aventure is a beautiful Chalet located right by the pistes and ski lift in the picturesque village of Les Gets. 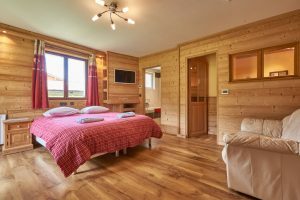 Our Chalet can sleep up to 16 people in five rooms that can accommodate double or single beds depending on your requirements. The rooms are all very comfortable and all come complete with Ensuite bath or shower room. 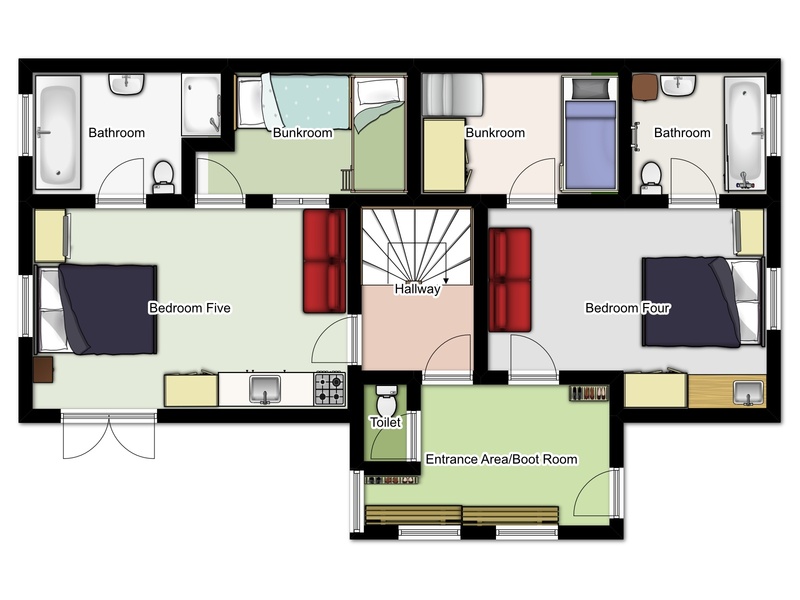 Two of the rooms are offered as Suites; they are substantially larger rooms with a small kitchenette complete with kettle and microwave, a comfortable sofa and a television with games console. 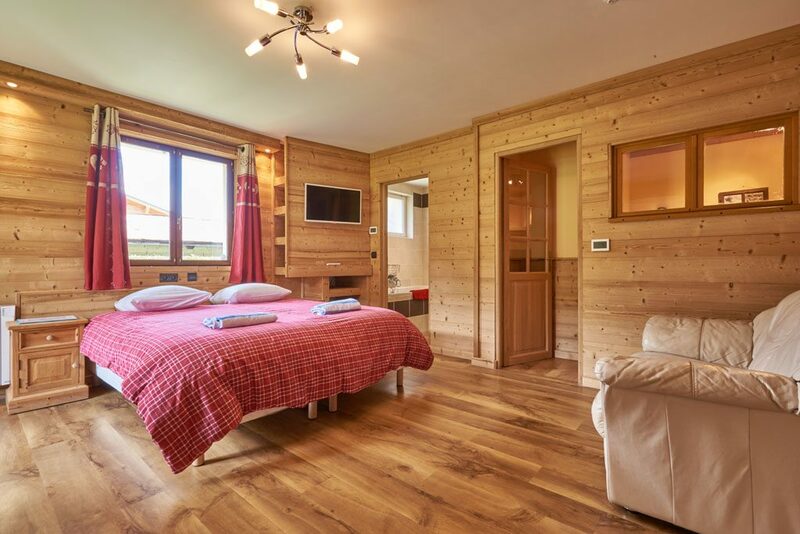 Chalet Aventure has a large lounge and dining area with plenty of seating. If you wish to relax after skiing then we have a Hot Tub located outside in the snow with stunning views all around. If you really want to indulge then we offer a range of massage treatments in-house. We have books, games and visual entertainment to keep you entertained when you are not skiing. 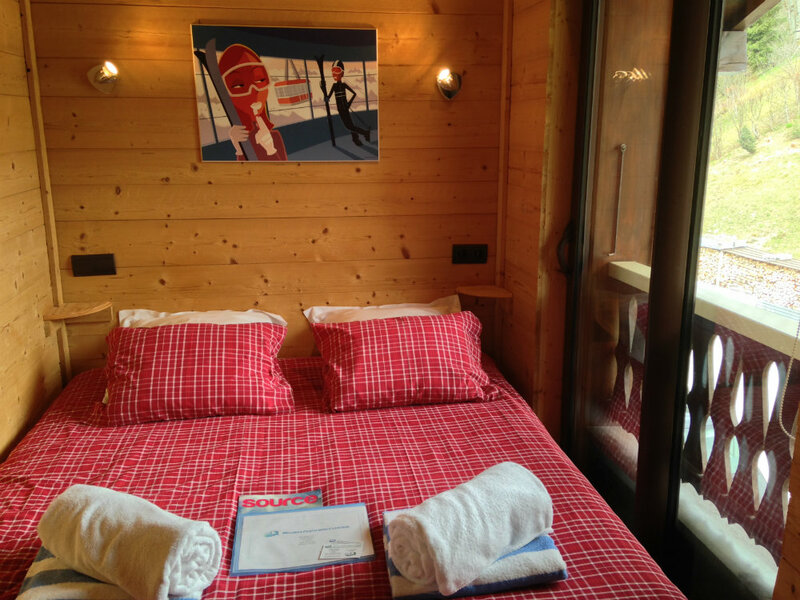 Chalet Aventure is offered on a catered (half board) basis. We provide a good hearty breakfast to get you going in the morning. In the afternoon we offer home baked cakes or cookies with tea and coffee. For evening dinner you are served a four course meal complete with complimentary red or white house wine. The chef has one night off a week (usually Wednesday) when you are expected to eat out in one of the delightful Savoyard restaurants in the village of Les Gets. We can make some excellent recommendations! 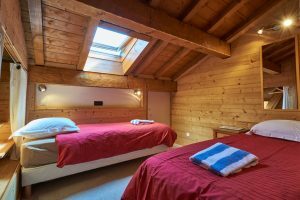 We live in Les Gets all year round and have been running our Chalet business for over 10 years. We have a passion for skiing, the outdoors, food and fantastic hospitality. Therefore we offer you the type of holiday we would love: a wonderful Chalet with friendly helpful staff, great food and a fantastic location right by the lift and Piste. We take the stress out of booking your independent ski holiday by offering our complimentary booking service for airport transfers, lift passes, ski hire, lessons and child care. 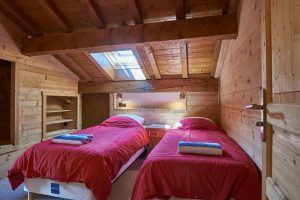 Located on the top floor of Chalet Aventure, Bedroom One is of a good size with the option of having either a double bed or twin bed setup. The room has an Ensuite complete with shower, sink, toilet and heated towel rail. 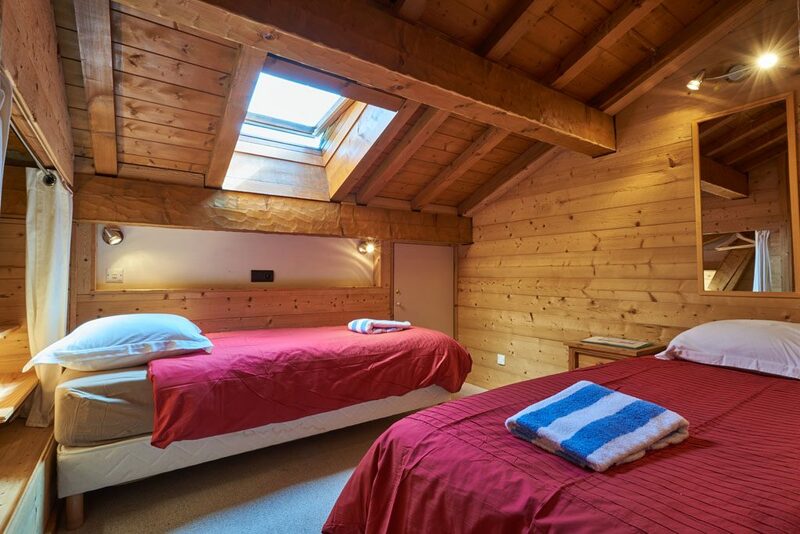 The room has a traditional Savoyard wood décor with natural light filling the room via a velux window above the bed. Located on the top floor bedroom two has fantastic views looking out onto the surrounding mountainside via a large window with sliding doors. The room contains a double bed and offers an Ensuite with shower, sink, toilet and heated towel rail. The room is finished in wood giving it a warm ambience. 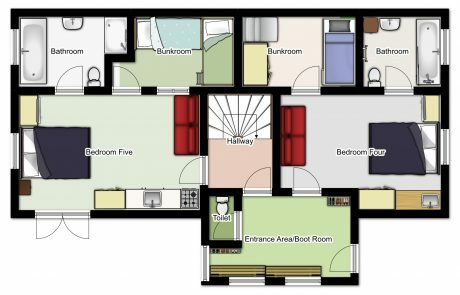 Located on the top floor bedroom three is ideal for a family or a small group of friends. The room has two areas: The main area offers sleeping for two people; we can offer a double bed or twin bed setup. There is natural light coming in through the velux window above. 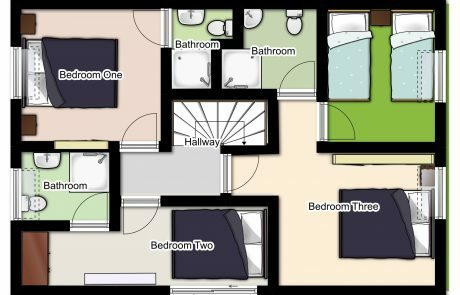 The second area is smaller with two single beds. There is restricted head space due to the roof eaves, but the velux window above provides plenty of natural light. There is an Ensuite complete with shower, sink, toilet and heated towel rail. There is a door separating the two sections. Located on the ground floor bedroom four offers plenty of space making it ideal for a small group of friends or a family. 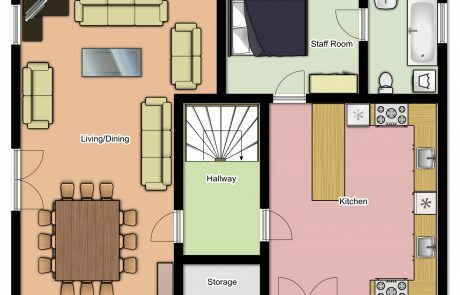 The main area contains two beds with the option of having a double bed or twin bed setup, a small kitchenette complete with kettle and microwave, a comfortable sofa and a television with games console. There is a door in the corner leading to a bunk bedroom, which can comfortable sleep two people in a bunk bed and a single person in a single bed. 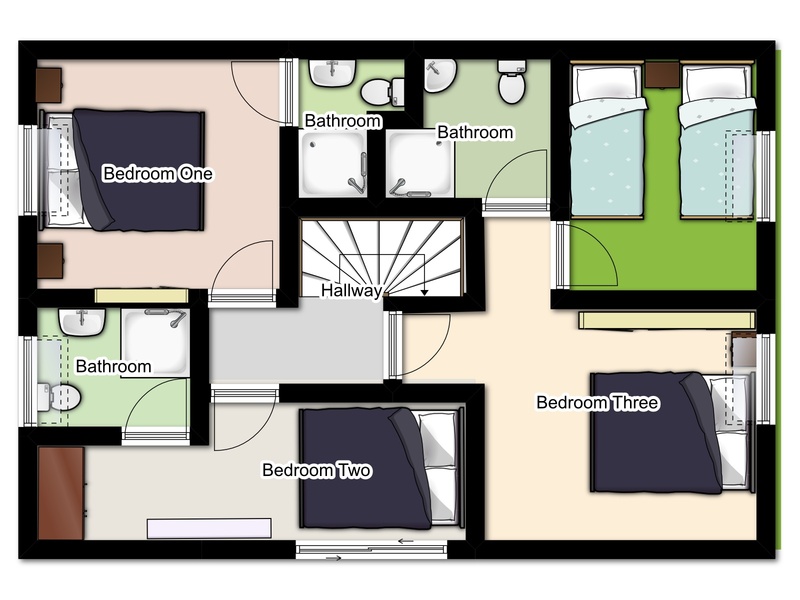 There is an Ensuite bathroom serving the two areas with a bath, shower, vanity unit and toilet. The room has a large window letting in natural light. Located on the ground floor bedroom five is our largest room and offers plenty of space making it ideal for a family or small group of friends. The room is filled with natural light and has stunning views looking out onto the private garden via French doors and a separate bay window. 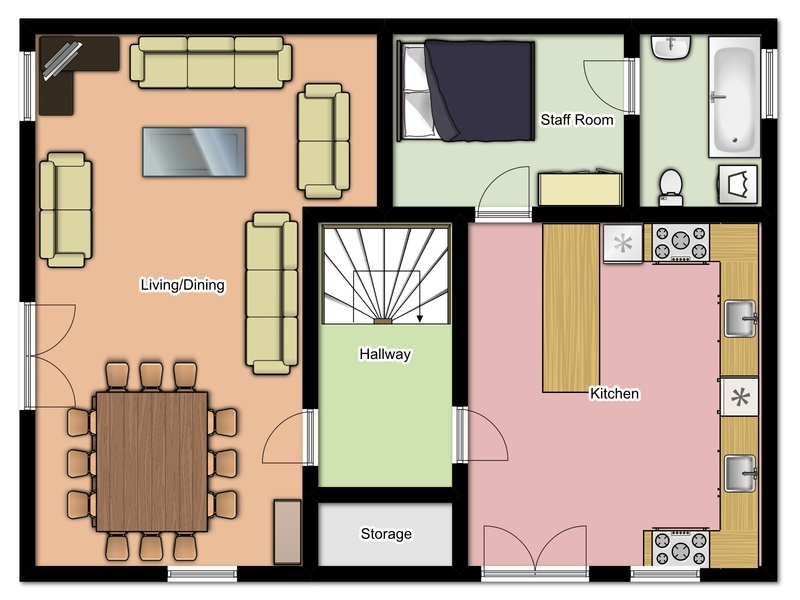 The main area contains two beds with the option of having a double bed or twin bed setup, a small kitchenette complete with kettle and microwave, a comfortable sofa and a television with games console. There is a door in the corner leading to a bunk bedroom. The room has an Ensuite bathroom with a bath, separate shower, vanity unit and toilet. There is plenty of storage for clothes and other items in the room. Chalet Aventure is located in an area of Les Gets called Les Pesses. 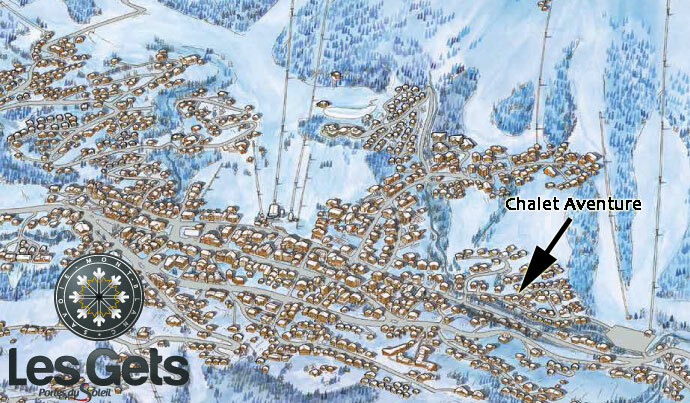 You can see below on the map in section G4 how close the Chalet is to the ski slopes, lifts and the village centre. From the Chalet door it is only 100 metres to the Perrier Express Six Man Chairlift that takes you up to the Les Gets bowl which is linked to the whole area with a good selection of Blue, Red and Black runs. If you want to ski back to the Chalet then you can take either a red run from the top called Melezes or take the blue run down to La Turche and cut across onto the last section of the red Melezes run. To get to the village centre and the main Chavanne lift which is where most of the ski schools meet, it takes eight minutes walking, or you can hop on the free bus that stops right outside Chalet Aventure and goes direct to the centre taking just 2 minutes. In the evening if you want to venture out for an Aprés beer or two, you need to walk as the bus stops around 6pm. If you have young children or need extra assitance then we have a minibus which we can use to run you around. Half Board Prices are per person based on 7 nights accommodation. Half Board Group Deal Prices show the discounted cost to book the whole Chalet on a sole occupancy basis for up to 10 people. Short Break Prices show the cost per person per night half board. We usually offer short breaks from Thursday to Sunday or Sunday to Thursday.